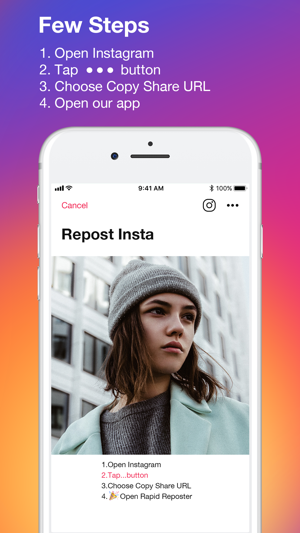 Repost for Insta Photos app lets you repost your favorite photos and videos anytime. 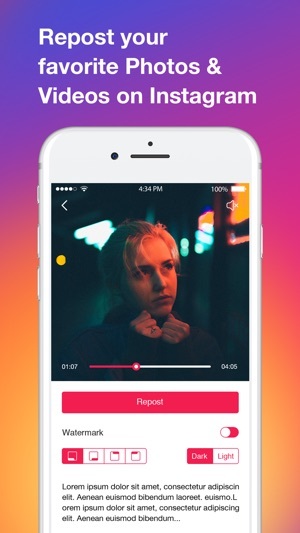 Don’t need to take screenshots of photos anymore! 2. 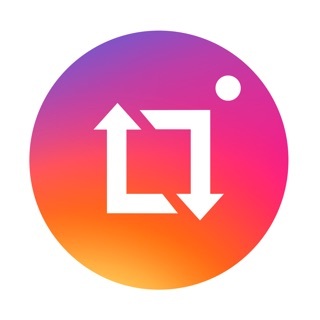 Copy the share URL and open Repost Photos for Instagram app. 3. 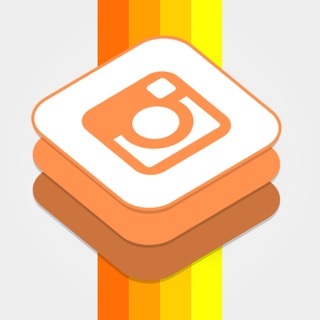 Choose to open Instagram app, and repost the content on Instagram.